The strategic game changer project “China Pakistan Economic Corridor” (CPEC) is biggest ever investment for both China and Pakistan. It aims to connect Gwadar port in south western Pakistan to China’s northwestern autonomous region of Xinjiang, via a network of highways, railways and pipeline to transport oil and gas. By and large construction costs are estimated at $46 billion which is roughly 20% of Pakistan annual GDP. Beside transport the corridor will provide Pakistan with telecommunications and energy infrastructure as well. The corridor will go a long way in making Pakistan a better-off and powerful entity than ever before. Both countries hope that this project will transform Pakistan into regional and economic hub as well as further boost to the growing ties between Pakistan and china. China-Pakistan Economic Corridor, an economic initiative to connect the two countries through a web of railways, roads, pipelines, and other development projects. Once built, the nearly 2,000-mile-long corridor will shorten China’s route to the Middle East by about 7,500 miles. After its completion, the CPEC would be of enormous strategic and economic significance to China, Pakistan and other regional countries. For China the CPEC would reduce the traveling distance, for its huge volumes of trade with the Gulf countries, from existing 13000 kilometres to mere 2500 kilometres. While it will cut down the traveling time from the existing 45 days to only 10 days, it will also reduce the cost of freight by one third. Through CPEC China will be able to trade with South Asia, West Asia, the Middle East and North Africa through a much shorter route. No wonder China is now a major investor in foreign markets. China has become the leading country in terms of foreign direct investment in Pakistan during the last decade. Chinese national economy today is the strongest in the world with its highest foreign exchange reserves. China will make huge revenues because with the completion of CPEC, the Chinese shipments will become able to reach the same destination just within 10 days period. . The project has also elevated Islamabad’s strategic partnership with the regional superpower. CPEC is viewed as an economic lifeline for Pakistan. The government in Islamabad recognizes the CPEC as the only opportunity left for Pakistan to develop itself economically and, importantly, bring stability and progress in the country. Another vital aspect is that Gwadar Port will eventually create a nexus between China, Pakistan and the Central Asian countries with prospective revenues more than billions of dollars every year for all the countries. Pakistan’s trade with Central Asian Republics would also increase using CPEC since the CARs will be connected with CPEC based on the Quadrilateral Agreement for Traffic in Transit, which has already been signed by Pakistan, China, Kazakhstan and Kyrgyzstan. After completion of CPEC, Pakistan’s national income will also increase since it will get royalties or transit fee on huge volumes of Chinese and CARs exports and imports to and from West Asia, South Asia, Middle East and North Africa through CPEC, being the shortest route. Hence the importance of CPEC is such that it is being hailed as a “fate changer” by the Pakistan. With Chinese investment pouring in, Pakistan is desperately looking to guarantee stability and safety to ensure the timely completion of the project. But it is important to keep in mind that challenges confronted by CPEC are still unsettled. It is facing both internal and external obstructions which could derail this multifaceted project. A lack of domestic consensus can hinder development in any part of the world, and CPEC is no exception. When CPEC was initially introduced, every mainstream political party supported it, including the ruling Pakistan Muslim League Nawaz (PMLN-N). However, the enthusiasm turned to deep concern when political parties from economically weak provinces (KPK and Baluchistan) felt that their province’s reservations about CPEC were not being addressed. The debate between political parties became so intense that China has felt it necessary to put out a statement urging parties to overcome their differences. A spokesman from the Chinese embassy in Islamabad said: “Relevant parties should strengthen their communication and coordination on the matter.” So it is very essential that the plan ought to be kept above politics. The security atmosphere inside Pakistan especially Baluchistan poses numerous difficulties for CPEC. Starting from Kashgar, the project will pass through Gilgit-Baltistan and KPK, followed by Baluchistan. 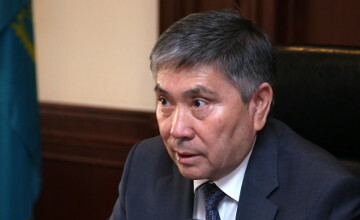 For that matter government has decided to install 10,000 army personnel under the command of a major-general, whose primary objective will be to safeguard Chinese engineers and guard the entire trade route. 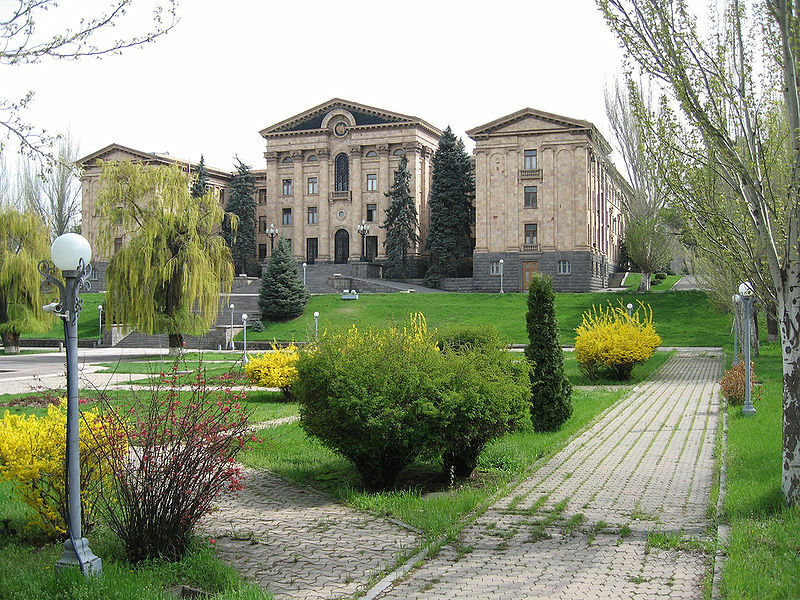 The deployment of army personnel has already begun. This shows that the civilian and military leaderships – despite differences over foreign policy – are on the same page when it comes to this strategically vital project. Another major challenge is imposed by neighboring country India. While Pakistan is developing Gwadar to become a nerve centre for regional trade along with development of necessary infrastructure under China-Pakistan Economic Corridor (CPEC), India has openly stated on more than one occasion that it would go to any length to sabotage CPEC project. 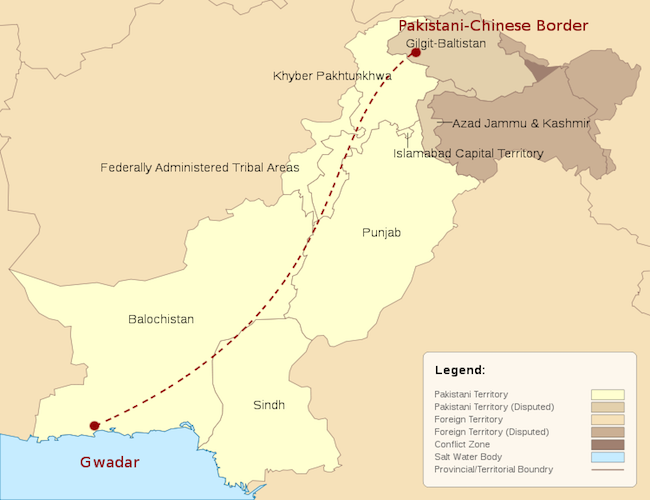 According to an editorial published in Pakistan observer, Apart from setting up a special cell of RAW to plan and execute anti-CPEC activities, India is luring regional and world powers to join hands to develop Chahbahar as a counter-weight to Gwadar besides construction of rail and road links through Iran to link India with Afghanistan and Central Asia bypassing Pakistan. Another obstacle that needs to be given close consideration is the status of Gilgit-Baltistan. It will pass through disputed region. 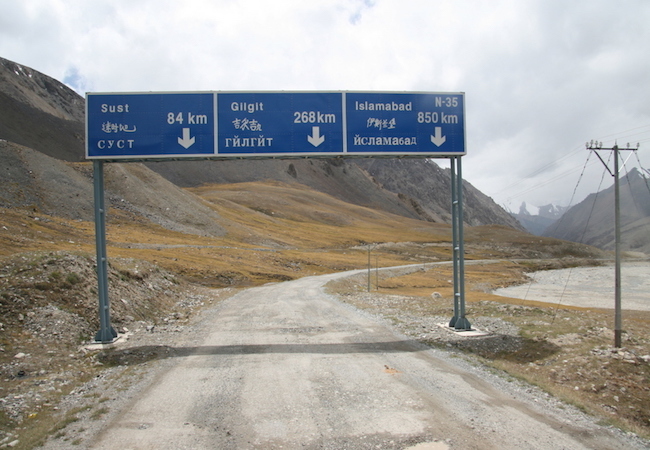 Gilgit-Baltistan is the gateway to Pakistan from China, but China cannot afford to invest billions of dollars on a road that passes through a disputed territory claimed both by India and Pakistan. Gilgit-Baltistan is disputed, underdeveloped, lacks legal status, and is not getting its fair share of CPEC attention, all of which could lead to numerous problems. To ensure that Pakistan does not suffer, the government must not only develop contingency plans, it must also be more transparent about the deal itself. Questions have already been raised about the proposed CPEC routes. Both Balochistan’s and KP’s political leadership have concerns about the proposed routes and their impact on their local economies. To guarantee CPEC translucent macroeconomic stability, economic policymakers, both at the State Bank and outside, should be provided details about the expected inflows and outflows of foreign currency, and the debt and equity components of the deal. For the reasons of security and the timely completion of the CPEC project additionally with the successful functioning of the Gawadar Free Trade Zone, Pakistan has allocated a special security division of over 8, 000 military personnel. In the words of the Federal Minister Ahsan Iqbal who is managing the CPEC project: “If Pakistan does not provide stability for CPEC, Chinese will not hesitate it to find another route, practically leaving Pakistan out of this mega economic and trade route.” All in all, CPEC will face many hurdles, both domestically and from regional powers that may see it as a threat. However, with a multi-billion dollar Chinese stake in the project, and Pakistan looking at it as a lifeline for survival, optimism remains high in both countries. The end or rebrand of history?